The perfect gift for a boyfriend, girlfriend, Fiancée or Fiancé! 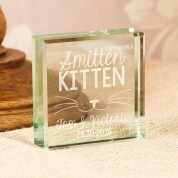 Our cute glass block is jade tinted and reads “You Make Me a Smitten Kitten”. The adorable message compliments a kittens whiskers and nose. There is even room for the couple's first names and a special date! 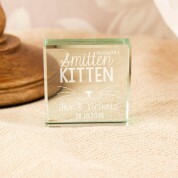 We think this keepsake gift would be perfect on any anniversary. 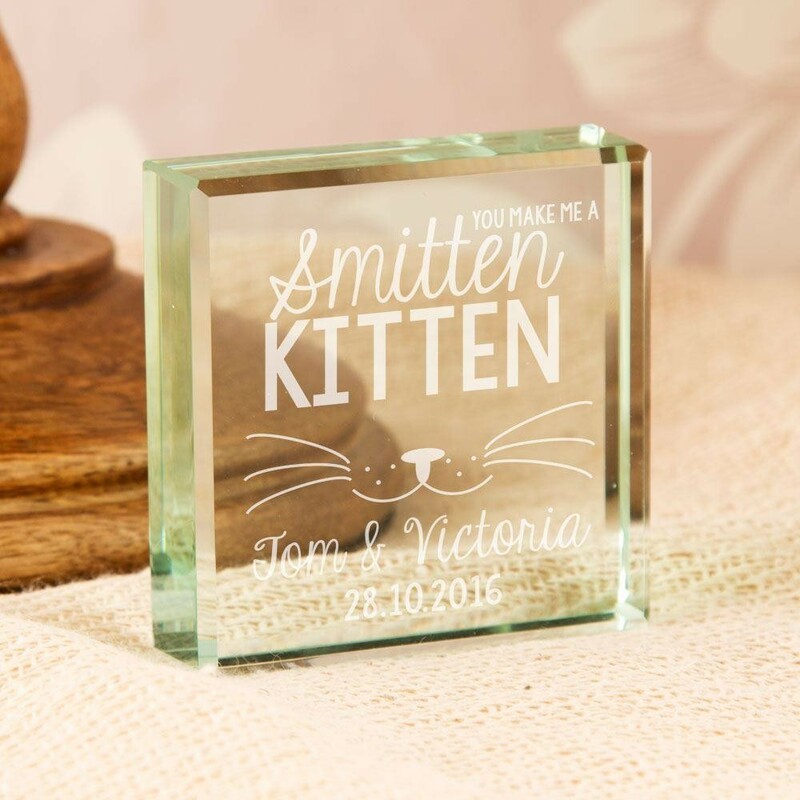 Because all designing and engraving is done in house each jade block is individual to the customer – a gift with a difference to treasure for years! 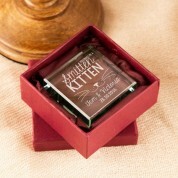 When it is not on display, it can be tucked away in its silk lined presentation box.